Birds tend to nest behind shutters because shutters provide a quiet, peaceful area. The problem is, what works for the bird doesn't always work for the homeowner. 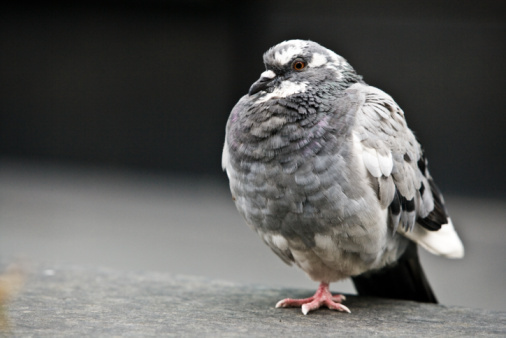 Birds leave droppings and nesting material in their wake and can become aggressive when someone walks near their nest. 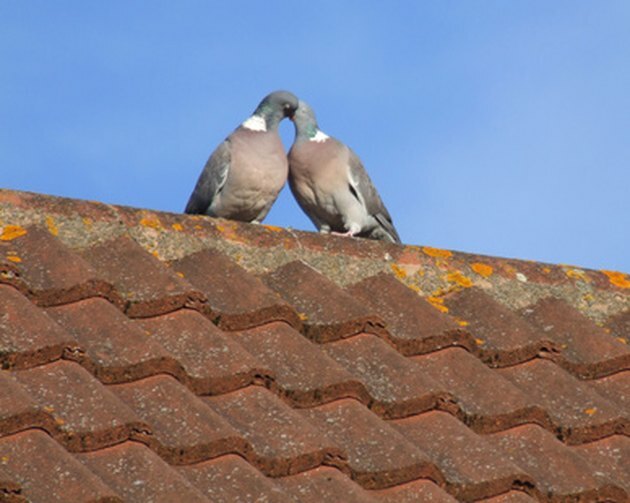 In fact, bird feces can corrode building materials and destroy parts of your home. Pigeons often nest behind shutters. Apply bird netting to the areas behind your shutters. Netting is inconspicuous and flexible and can fit behind tight spaces. The netting prevents birds from getting behind the shutters. The netting does not rust or corrode. Look for netting with mesh openings that are no bigger than a half-inch. Convert the flat surface behind the shutters into one that is slanted by placing cement, wood or sheet metal behind it. Add a mound of cement to the wall that is rounded or slanted in shape. Nail the ends of two pieces of wood or sheet metal to the house, and join them together in the middle, creating an upside-down V-shaped object behind the shutters. You could also nail one end of wood or sheet metal to the house and allow it to hang slanted. By creating a slanted surface, you will make it difficult for a bird to nest. Place bird deterrents in the area around the shutters. 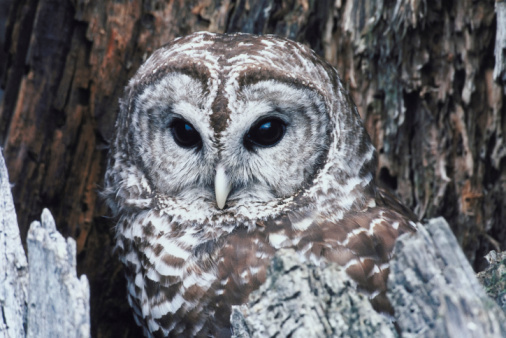 Fake predatory animals--snakes, owls and cats--will often scare birds away from spending time in those areas. Aluminum foil and reflective plastic strips will also usually scare birds away. Nail the deterrents to the shutters, if possible. Hanging CDs might also keep birds away because of their reflective surfaces. Play bird distress calls out the window where the birds are attempting to nest. The calls may scare the birds away.